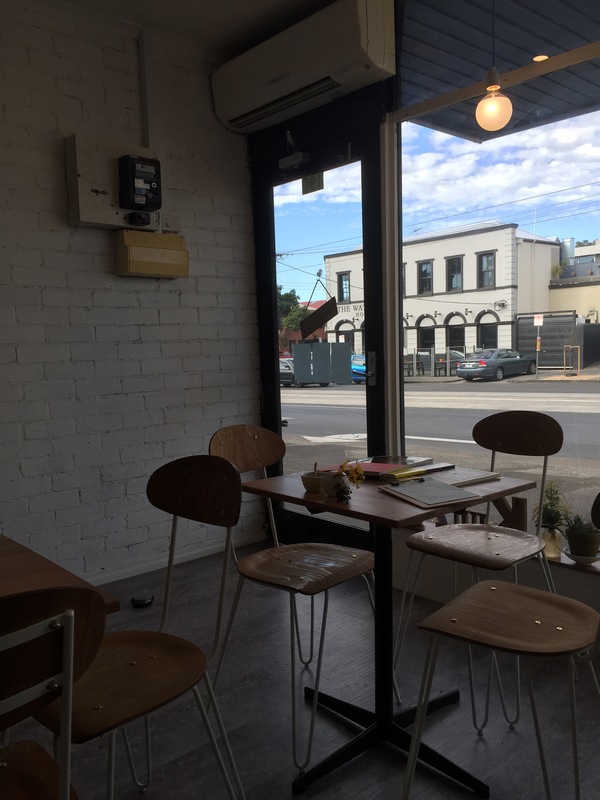 You’ll find Kuu, a charming little cafe just off the main strip down Park st in South Melbourne. 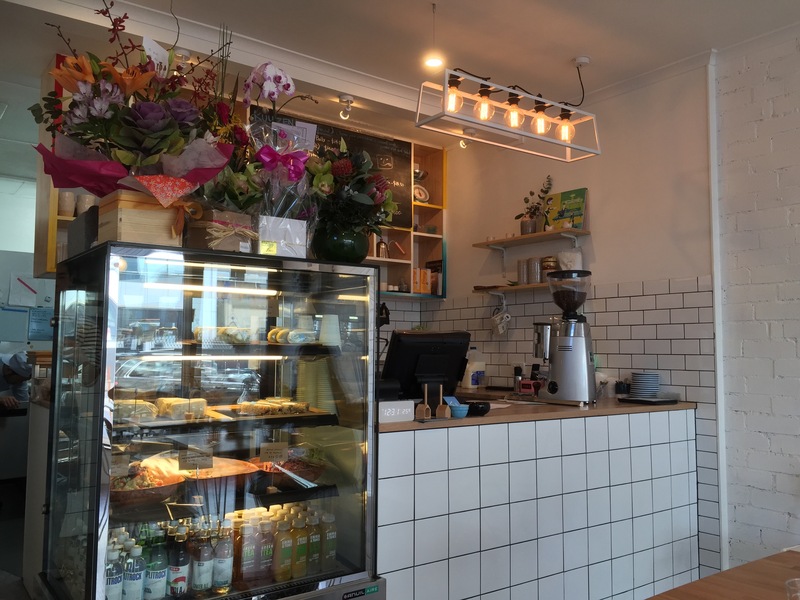 It’s an unusual mix of decor that would be at home in a hipster cafe, white tiles, raw walls, wooden tables and delicate vases with single stems of flowers. There’s certainly plenty of enthusiasm in this new cafe but they had their fair share of teething problems and there was a bit of a language barrier. All the smiles make a big difference in getting past the challenges and their positivity is infectious. 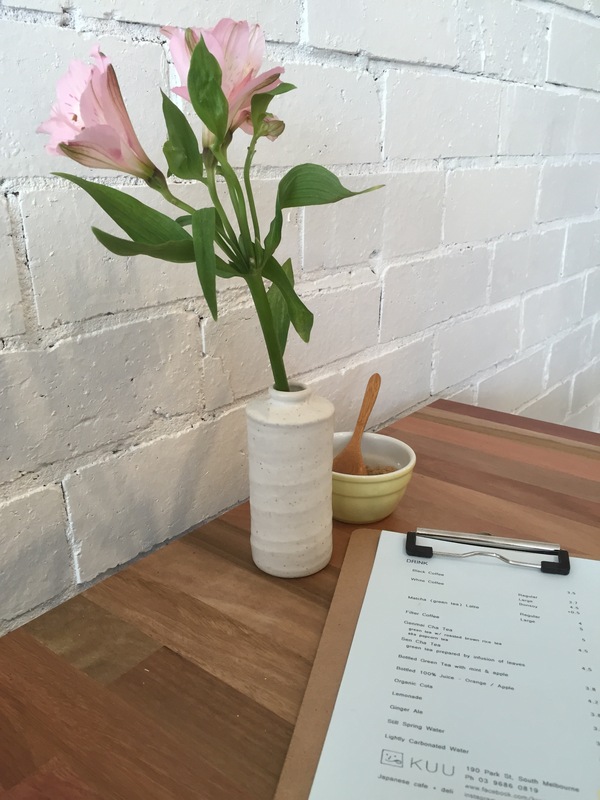 The menu is still fairly short but there’s enough on offer for lunch to make the decision a difficult one. The prices are on the expensive end of the scale, especially when there’s dishes to be found up Clarendon st for under $10 but we gave it a try anyway. 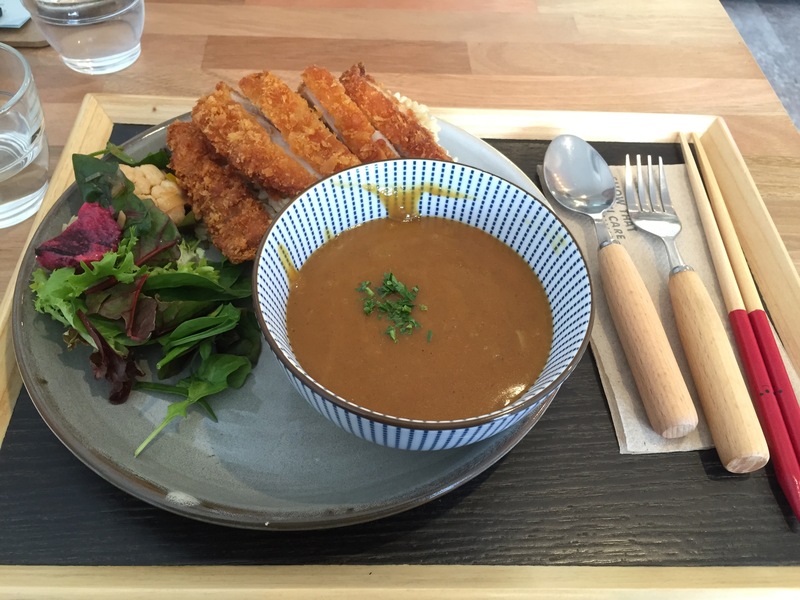 I went with the Japanese curry with Panko crumb chicken and brown rice. The serving was large and there was plenty of flavour. The chicken was perfectly cooked, crunchy and well seasoned while the curry was rich with a smooth consistency. We would have liked more veggies in the sauce though. The use of brown rice fits in with current health conscious trends and adds a nice nuttiness to the dish. It just doesn’t stick together as well as white rice which can get a little messy! I was satisfied with my meal but for almost $15 I won’t be able to eat there regularly. Lucky for me they also do a nice coffee and are conveniently located near my office so I’ll definitely be back!